Attempting to live the life of a True Renaissance Woman, Julia has dedicated herself to living a life of many passions. After graduating top 5% in her class with degrees in Theatre Arts & History from LaGrange College, Julia decided to move to Atlanta to pursue acting. She completed a year long acting apprenticeship at the Horizon Theatre in 2011 – and has been acting ever since. It wasn’t until she discovered The Village Theatre, however, that she found her true calling as an Improv Artist. 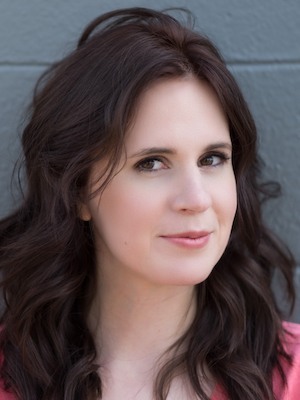 She has performed at The Village Theatre (named “Best Comedy Club 2015” Atlanta Magazine) since 2013 – and currently performs in Danger The Show!, Soundtrack, The Bligrones Effect, Her & His, Old Lady Times, as well as making guest appearances with the Improvised Mockumentary, Improv A-Hole, and Lady Like: A Variety Show. She is completely in love with the art form of Improv Comedy and hopes to turn this into a lifelong career.